Before we kick 2019 off properly, it’s time to take a look at how last year treated our favourite member of the Big Five. We’ve put together a summary of the main events (both good and bad) that took place in the world of rhinos last year. Rhino poaching numbers are down! First on the list is what seems to be a significant decline in the (reported) poaching numbers. According to a  report by the Department of Environmental Affairs, released in September this year, the number of rhinos poached in 2018 in South Africa as of 30 30 August, was 508. This is much lower than the 691 rhinos poached over the same period in 2017. While 508 rhinos being poached is still unacceptably high, the decline is a great improvement and a step in the right direction. The report ascribes the decline to, among others, the success of Operation Rhino. Since January 2018, 400 arrests have been made on a range of charges, including rhino poaching. Sudan (45), the last northern white rhino male, passed away on March 19th  this year following age-related health complications. He left behind his daughter, Najin, and granddaughter, Fatu. His death was perhaps a final blow to the northern white rhino population and has led to the sub-species being named functionally extinct. Conservationists hope that IVF (in-vitro fertilization) techniques will still be able to save the sub-species. We wrote about Sudan’s passing, which you can read  here. Rhino Coin, a new cryptocurrency built on the Ethereum blockchain, was launched in early June. The main goal of the cryptocurrency is to help raise revenue for the conservation of rhinos. The bitcoin value rests upon the actual value of legal rhino horn (which is safely stored in secure vaults and fully insured), fully backed on a 1:1 ratio. 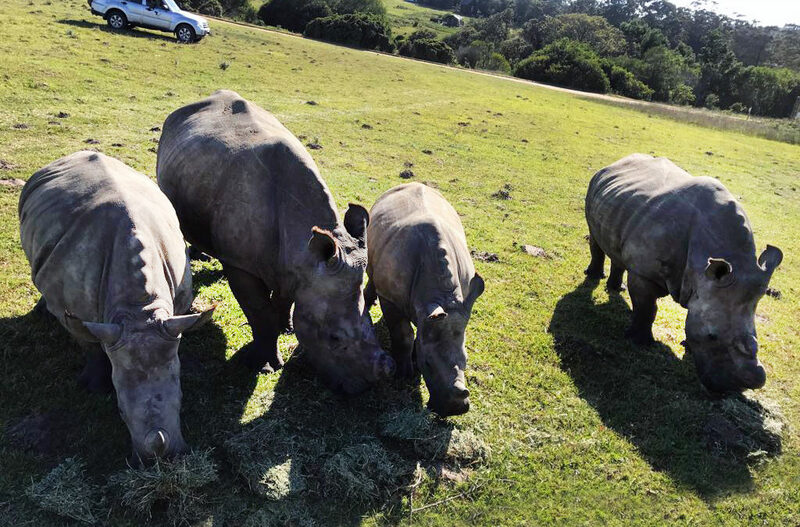 This crypto-conservation initiative is proudly South African, and strongly believes that as 80% of the rhino population resides in South Africa, it is the responsibility of all South Africans to protect them. After the crushing blow of Sudan’s death in March, scientists and conservationists have redoubled their efforts to find a way to save these majestic creatures. In May, the San Diego Zoo announced that one of their southern white rhino females, Victoria, had been artificially inseminated and was pregnant. We covered the exciting news, which you can read  here. In September, another southern white rhino female (Amani) from the San Diego Zoo was also impregnated. These IVF pregnancies bring conservationists closer to saving the southern white rhino. If Victoria and Amani are able to carry their calves to term, the next step will be impregnating them with stored northern white rhino sperm. This could save the sub-species! 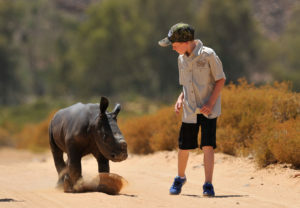 In August this year, Hunter Mitchell, one of our favourite young conservationists, won the prestigious  Action For Nature International Eco-Hero award for his work in raising over R170 000 to help save and raise orphaned rhinos. Hunter’s amazing journey began at the age of 9, when he took it upon himself to help raise funds for an abandoned rhino named Osita. Beginning with the modest goal of raising R1000, Hunter’s project has now been able to raise R170 000 and reached over 10 000 children in South Africa, Australia and Asia. What an amazing young man. 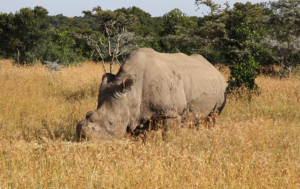 The rhino conservation film Stroop: Journey Into The Rhino Horn War was shown at this year’s Green Film Festival in San Francisco, and people are being hit hard by the reality of the rhino poaching crisis. The film, made in South Africa and directed by award-winning documentary filmmaker Susan Scott, takes two filmmakers into the heart of the rhino poaching issue, detailing both the poaching of rhinos for their horns and the sale of these horns on the black market. Stroop has won the 2018 Green Tenacity Award and four major US film festivals have accepted Stroop into their lineup. Rhino poacher Patrick Nkuna was sentenced to 33 years in prison on 12 counts, including attempted murder, trespassing in a national park and possession of an illegal firearm,  the Times reported in November. Nkuna was arrested in 2015 during an anti-poaching operation in the Kruger National Park. The park’s managing executive Glenn Phillips called the sentencing “a huge victory and deterrence factor in the ongoing anti-poaching campaign”.Think we missed something? Comment below any other big 2018 rhino news. Think we missed something? Comment below any other big 2018 rhino news.